Eagles Gymnastics has a stellar reputation for its competitive gymnastics program. Eagles girls have been Missouri State Champions many times in its 25 year+ history and Eagles has had multiple Regional and National Champions. Eagles competitive team program teaches discipline, self-motivation, time management, respect and concentration. In addition, the girls form close friendships that will last a lifetime! 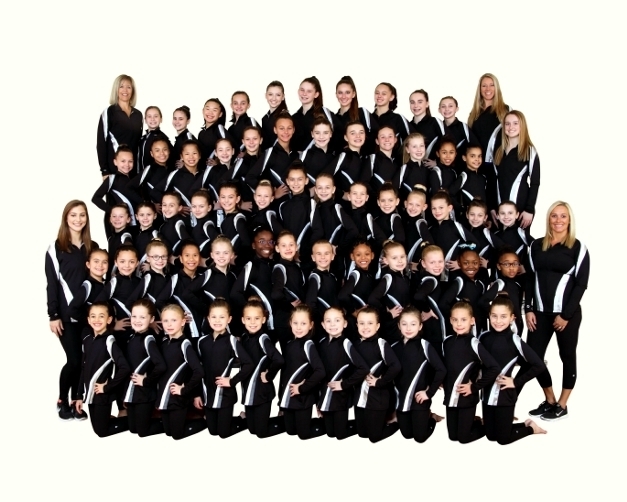 Usag is the governing body for Junior Olympic and Olympic-bound gymnasts. The Junior Olympic Program is a program under USAG that is broken down into levels 1 - 10. Athletes competing at levels 1 - 5 compete Compulsory routines: each child competes the same exact routines on each apparatus and uses the same floor routine music. Athletes competing at Level 6 and above compete Optional routines: each gymnast could compete their own unique routine on each apparatus, though there are still requirements regarding what types of elements and skills must be included at each level. 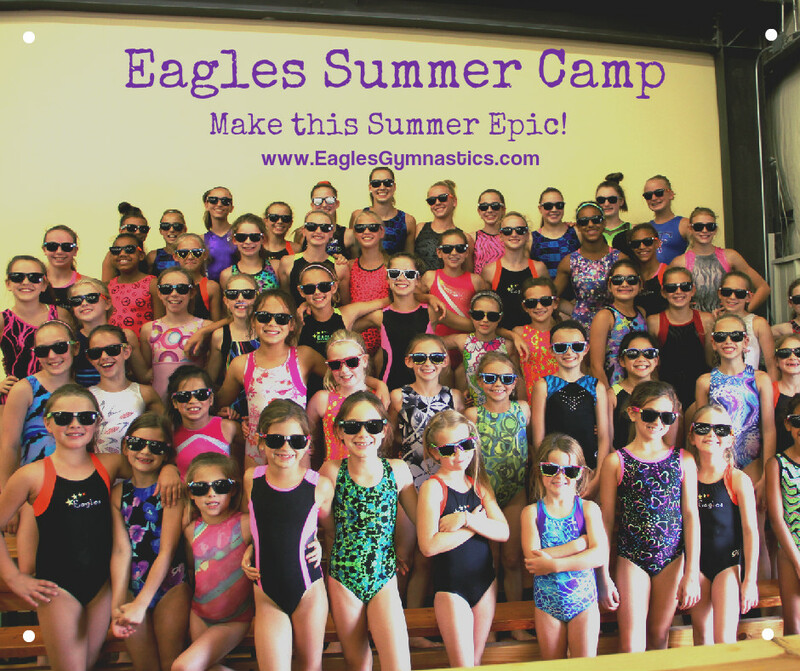 At Eagles, all of Eagles Level 6 Optional gymnasts compete with the same Eagles-designed Optional routine. The Junior Olympic Program is a highly demanding program, requiring a lot of time and dedication. Due to the levels of precision and difficulty required to execute routines, Junior Olympic Program gymnasts will typically train between 8 and 20 plus hours per week. Former Eagles Gymnasts competing in this program have gone on to compete at college level at such institutions as Oklahoma, Alabama, Mizzou, Ohio State, Iowa State, SEMO and more.